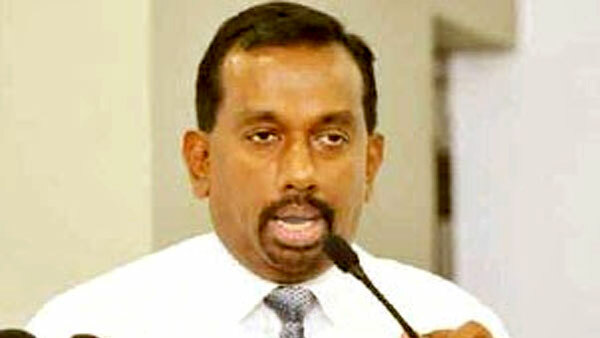 CID informed Colombo Additional Magistrate Nishantha Peiris today (15th) that steps have been taken to question former first lady Shiranthi Rajapaksa and her second son Yoshitha Rajapaksa in connection with the changing the colour of the defender vehicle, bearing registered number WP KA 0642 that was given to ‘Siriliya Saviya’ organization by Sri Lanka Red Cross and is suspected of being used for the murder of popular Rugby player Wasim Thajudeen. The CID has pointed out that suspicion surfaces as to why the colour of the vehicle was changed twice if it was really for the use of ‘Siriliya Saviya’ organization. After the presidential election the vehicle parked at the Habarakada residence of Jayantha Kariyawasam, the transport manager of ‘Siriliya Saviya’, was seized by the CID and investigations commenced. The vehicle has been handed over to Red Cross Society. Meanwhile, the Commissioner General of Motor Traffic has been noticed to appear in Court on 11th November. Former social service minister Felix Perera had taken the vehicle from Sri Lanka Red Cross and has handed it over to ‘Siriliya Saviya’ organization. 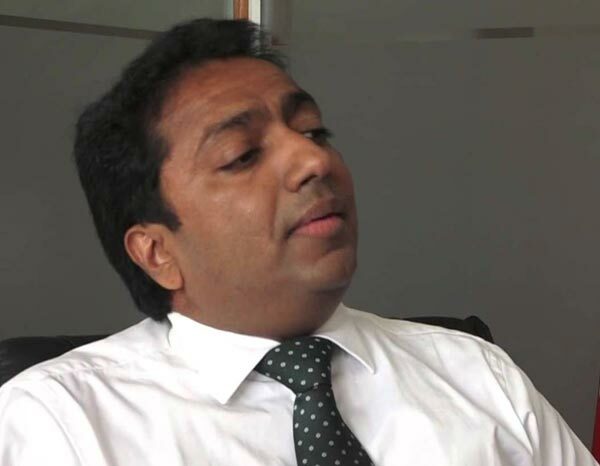 The application seeking anticipatory bail filed by the vice-chancellor of SAITM Ananda Samarasekera stating he would be arrested by the CID in connection with the disappearance of skeletal parts of Rugger player Wasim Thajudeen’s body was rejected by Colombo Additional Magistrate Mrs.Dulani Amarasinghe. The application for anticipatory bail was filed on 23rd August by Ananda Samarasekera who functions as the vice chancellor of Malabe private medical school and was the chief JMO in Colombo when Thajudeen was murdered. Mr. Ananda Samarasekera performed the first post-mortem examination on Thajudeen’s body and presented a report to confirm the death was due to an accident. However, later it was confirmed that Thajudeen had been murdered. In an earlier hearing the counsel representing the Attorney General told court that legal action would be taken under Public Property Act against the former Judicial Medical Officer Prof. Ananda Samarasekera who is charged with misplacing skeletal remains of Wasim Thajudeen stating that Prof. Samarasekera was responsible for taking the skeletal remains in a lorry. Former Minister of Sports of Mahinda Rajapaksa regime Mahindananda Aluthgamage who was arrested by the CID today (15th) was produced before Colombo Magistrates Court and was remanded till the 22nd by Colombo Additional Magistrate Nishantha Peiris. Mr. Mahindananda Aluthgamage arrested on charges of money laundering is also charged with several incidents including buying a luxury house from Cinnamon Gardens in Colombo for a sum of Rs. 27000000. A court order had been obtained by the Ministry of Education to get about 200 doctors who had come to the Ministry of Education and had been waiting in the auditorium of Education Ministry since yesterday to meet the Minister of Education Akila Viraj Kariyawasam to find a solution for the anomaly that exist in admitting their children to State National Schools removed from the premises. The Minister or the secretaries have not given any discussion for the doctors despite them staying in the premises overnight to get a solution for the issue. However, the education authorities have got the order from Kaduwela Magistrate today asking them to vacate the place. A large number of doctors were seen opposite the Ministry of Education at the time this was published. The Supreme Court ordered the Commission to Investigate allegations of Bribery or Corruption today (15th) to file charges on or before 3rd October in court against MP Namal Rajapaksa for disregarding Bribery Commission’s orders. 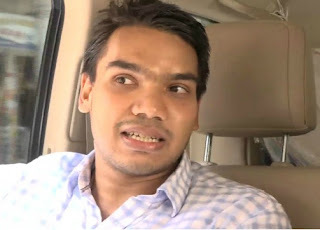 The objections filed by MP Namal Rajapaksa’s lawyers stating that the Commission to Investigate allegations of Bribery or Corruption were overruled by the pane of three judges of the Supreme Court including Chief Justice K. Sri Pawan. The case will be heard on 14th October. Whenever Mr. Ranil Wickremesinghe came to power plans were prepared to sell state institutions and for privatization says the President of the National Trade Union Center (NTUC) K.D. Lal Kantha. Speaking at a leaflet distribution campaign of the NTUC Mr. Lal Kantha said, “A struggle has to be launched to protect rights of the working masses in the country. The ‘regaining Sri Lanka’ programme of the UNP is being implemented in various names and formations using different stratagem. The Customs Act that existed has been cast aside and a new Act has been introduced that is advantageous for racketeers. The collection of taxes is to be taken away from the Department of Inland Revenue and a plan is being hatched to sell it to the private sector. There is a plan to sell Eastern Jetty of Colombo Harbour. Doctors in government hospitals in Matara, Kandy and Kurunagala districts are to launch a token strike today (15th) over issues relating to school admission for children of Doctors and eh conduct of the Minister of Education according to reports. The strike will be launched from 8.00 a.m. to 12.00 noon. According to sources 200 doctors have failed to find schools for their children and many of them have returned to the country after overseas specialist training and have been recently transferred to other hospitals. About 200 doctors went to ‘Isurupaya’, the Ministry of Education, yesterday (14th) to discuss with the Minister of Education Akila Viraj Kariyawasam the difficulties they confront in admitting their children to schools. However, the Minister or a Secretary had not given an opportunity for the doctors to discuss the issue. The doctors remained in the ministry till late evening expecting to meet the Minister or a secretary but they had been harassed by the security personnel by putting off the lights and demanding them to leave the ministry. The Moragahakanda Project commenced during the previous regime, various operations were carried out deceiving the masses to get it started, the masses in the area covered by the project had to sacrifice even their lives to make dreams of certain politicians a reality and despite those politicians have gained power in the country the masses who sacrificed on behalf of them are being pushed towards the precipice day by day states the Organization to protect Rights of masses in Moragahakanda at a media conference held yesterday (14th). They said an acceptable survey should be carried out and those who lost their lands should be compensated. Also they complained that the areas they have been given to build their houses are not areas suitable for living and asked authorities to provide infra structure facilities to the areas immediately. They further said if politicians think they have achieved their dreams as they weld political, legal and executive powers, the day their dreams would be shattered would not be far away and the organization would rally the masses against such politicians.